"I do not think you could have made our experience any better. We were treated fairly, honestly, and with great respect and patience to all our questions. We would definately recommend Rich Moen as a realtor to deal with. He was very professional and gave us great quidance. It was a pleasure working with him and he always kept us in the loop as to what was going on, the status of what was happening and what to expect on the next step." "I would recommend Rich to anyone who is looking for an honest, caring and hard working REALTOR. He was a friend of my aunt and helped her sell her old home and buy her condo. When my aunt passed away we could think of no one else but Rich to help us sell her condo. Unfortunately the property had a lawsuit against it, which made selling very challenging. Rich was amazing through all of it and a true blessing. He was easy to get ahold of when I had a question and made sure that the lawyers involved kept up on the case . It really was a nail biter to the end but we were so thankful that it was Rich helping us out. We can see why our aunt went with him so many times over the years"
"When asked how the experience could of been better responded: I don't know if that would have been possible!" "Thank you for all you do for our community. It is people like you that make this a wonderful place to call home. Your efforts are greatly appreciated by all of us, not just those who receive the benefits. "From the beginning of my hunt to the closing at the bank, Rich and his team were there to answer my questions, were interested in my concerns, and supportive of my ideas. Even now, though a considerable time has gone past, he remains available to answer any questions I might have and provides great service. I would certainly recommend him to anyone seeking to buy or sell property." Loved having him as our realtor! "My experience couldn't have been any better in working with Rich Moen. My fiance and I loved having him as our realtor! He remained so patient and flexible with us throughout the home buying process. We love our new house and can't thank Rich enough!" "Thanks for helping us get the house! All of your connections and resources along the way made it possible." Made it Easy For us! "I live in Texas and had owned a rental property in Watertown Wisconsin for twenty three years. It became overwhelming for us to continue to manage by family and friends. A simple phone call to Richard Moen, solved our problems. He connected us to a management company who took charge in fixing up the units, then renting them. At the same time, we placed the duplex on the market. It is a challenging time in the real estate business due to our economy, but Rich was able to find a buyer and we closed this past Monday! Rich represented our interests in an honest and ethical fashion, and was highly organized. Our closing went easily and he faithfully represented us so we did not have to waste travel time or money to close.There is nothing Mr. Moen could have done differently. ALL of his work was exceptional!! 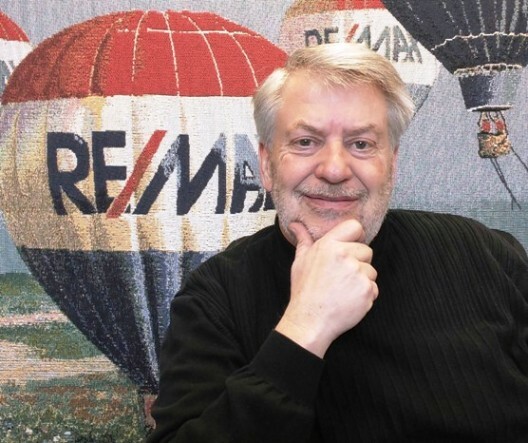 I HIGHLY recommend Rich Moen for all your real estate needs!" "Rich was recommended to me through work colleagues, and proved to be an excellent realtor, and a very good person as well. I would recommend him to anyone without reservation and look forward to a long-term friendship with rich!" Mon April 2 2012, 08:40 Flag Share"
"Rich worked long hours to make sure everything was complete and to our satisfaction. Thank You!" "A 1,000 thank yous on a job well doneï¿½we truly appreciate all that you did for usï¿½"
"Just signed on the dotted line to buy our first house! Couldn't have done it without the help of our awesome REALTOR Rich Moen :)"
"My experience could not have been better!" "From day one, Rich put our needs first. He was always responsive and sympathetic. He left no detail uncovered and his high standards shown through from our first meeting. We have sold a few homes in the past but never before had we received this special kind of service"
"We appreciated your patience in answering our questions and providing information. Always willing to do research to answer our questionsï¿½"
"I was not looking foreward to living in Georgia and trying to sell my mothers house in Watertown. Since I only had one week to get everything done, I decided to interview agents over the phone. I knew you were the right person to get the job done. You returned all of my phone calls in a timely manner and were very good about giving me updates. You did a great job and I highly recommend you to anyone buying/selling a homeï¿½"
"Rich was very understanding of our circumstances (living 500 miles from the property for sale) which made coordination of efforts complicated. He did an outstanding job. I would recommend him to my best friend." "Your experience and leadership were a great help in selling our home. Thanks again!ï¿½"
"Thank you for all your help, patience & persistence in getting our property sold and closed!" "We are really satisfied with the services we received from you and your team. I wouldnï¿½t go with any other REALTORï¿½ than RE/MAXï¿½"
"Thank you for all of your hard work. Selling our home with you all was a pleasure"
"We have used RE/MAX in one business and three personal transactions, being on both the buyer and seller end. I would highly recommend RE/MAX to help get the results you are looking forï¿½"
"You always made us comfortable with our hundreds of questions, we felt we had a friend at RE/MAXï¿½"
"We were very satisfied with the way everything was handled. It was handled in the most professional wayï¿½"
"If everyoneï¿½s home sold as fast as mine did, I would think that everyone would go to RE/MAX"
"We appreciated the spirit and work of our agent"
"We were both satisfied and very appreciative of the help you gave us as first time home owners. Even though we were complete novices, your staff never treated us in a condescending manner. Many thanks!" "Our agent was by and large the very best REALTORï¿½ we have ever dealt withï¿½Thanks again for a great job well doneï¿½"
"We are very pleased with all your efforts"